Why did the Pakistan Army Chief Gen Raheel Sharif feel compelled to announce his unwillingness to accept service extension beyond November 2016? How will it impact the Army’s ongoing anti-terror campaign? Is it good or bad for Pakistan’s democracy and stability? Why are the Taliban terrorists attacking Pakistani students and teachers? Is this a new phenomenon? Or did it start in 2012 in Swat with the assassination attempt on Malala Yousufzai’s life? Is the government response adequate? Does the entire society need to recognize the problem and act to protect education in Pakistan? Has the PPP government in Sindh given the elected local government the power and the resources it needs to govern the city of Karachi? Is the MQM justified in its protests on this issue? What will be the outcome of this tussle? What was the conversation with Pakistan foreign secretary Aizaz Chaudhry in Silicon Valley? Does it show that he and the foreign office understand what it will take achieve regional peace and security? 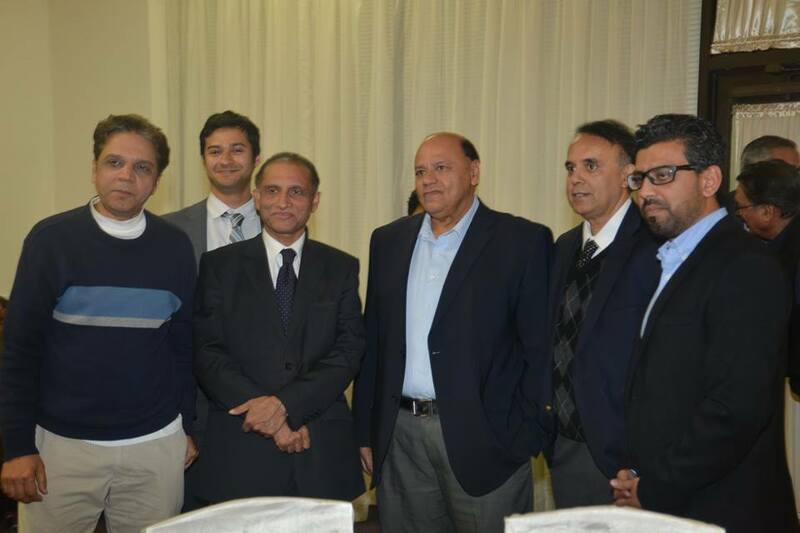 Talk4Pak team members with Pakistan foreign secretary Aizaz Chaudhry in Silicon Valley, CA. Taliban Target Pak Education; PPP-MQM Karachi Conflict; Pak Foreign Sec in Silicon Valley from WBT Productions on Vimeo. The de-hyphenation policy of the U.S. was crystallised when the SRAP was set up in 2009 soon after President Barack Obama had taken over, with the appointment of Richard Holbrooke. At the time, Mr. Holbrooke had hoped to include India in his mandate, and even to discuss the resolution of Kashmir as a means to extract greater cooperation from Pakistan. India had strongly opposed the move. According to a diplomatic cable published by the whistle-blower website WikiLeaks which was accessed by The Hindu, the then External Affairs Minister, Pranab Mukherjee, had objected to this when U.S. Ambassador David Mulford paid a farewell call on him. “He expressed his deep concern about a special envoy with a broad regional mandate that could be interpreted to include Kashmir, and shared his hope that the U.S.-India relationship not be viewed through the lens of regional crises,” Mr. Mulford recorded of Mr. Mukherjee’s message. (http://bit.ly/1QAu279). Subsequently, Mr. Holbrooke remained only engaged with NATO and Af-Pak affairs until his death some years later, and was followed by subsequent SRAPs. “Even when U.S. officials wanted to discuss the situation in Afghanistan or Pakistan with us, we would insist they didn’t travel to us via Islamabad,” a senior MEA official working on the Americas desk in those years told The Hindu. Mr. Menon, who was Foreign Secretary at the time, had also repeated the message of de-hyphenating the ties in his talks with the then Secretary of State, Hillary Clinton, other cables from WikiLeaks record. “We didn’t want to be party to U.S. actions in Afghanistan at the time,” explained Mr. Menon. Hoodbhoy doesn't seem to be paying attention. He doesn't see that Modi is following in Zia's footsteps while Pakistan is starting to reject Zia's path and going in the opposite direction. You must strongly protest against this re-hyphenation of India and Pakkkiland. Pakkkiland doesnt get any positive marks by being clubbed with slumdog India. Majumdar: " You must strongly protest against this re-hyphenation of India and Pakkkiland. Pakkkiland doesnt get any positive marks by being clubbed with slumdog India." Zia died 28 yrs ago. How long are you going to blame him. Wait. Pakis like blame everyone for their ills, like blaming US for the 1980s anti russia jihad which started the jihad culture. As Husain Haqani asked "how come terrorist Mukti Bahani never indulged in anti state terrorism after 1971". Pak will have APS/Chardassa incident every month as long as they continue to encourage good jihadis. The mumbai attackers were told that dying for Jihad is the best death one can ever aspire for. RK: "Zia died 28 yrs ago. How long are you going to blame him." Zia, along with the US CIA and the Saudis, created the supply chain of Jihadis who are now attacking Pakistan. It was a political battle during Cold War in which religion was used as a tool. This is not a blame game but a fact recognized by many in the know, including Americans like ex Sec of State Hillary Clinton. RH: "Modi is following in Zia's footsteps"
Unlike Zia, Modi was elected. Unlike Zia, Modi has loud and powerful opposition. Unlike Zia, Modi can be kicked out. This is the real difference between their democracy and our military-state. HW: "Unlike Zia, Modi was elected...."
Being elected or otherwise makes little difference as far as controlling the state power and resources to make policy and key appointments are concerned. We saw that with Hitler and Mussolini. Modi is doing exactly what Zia did: Rewriting curricula; making key appointments to educational and cultural institutions; brainwashing young Hindus to reinforce fanatical, extremist beliefs in them. The full effects of these actions will not be apparent immediately; the full effects and results will be seen long after Modi is gone and a new generation of Hindus take power to complete his extremist agenda. Respectfully disagree. You need greater than 2/3 majority in Lok & Rajya Sabha and before that the judiciary has to okay the constitutionality of the change. These references to hitler and Mussolini are simply a form of shock talk. Exactly. I am surprised that Riaz is letting his hatred for India cloud his judgement. When Modi can't even pass GST bill, how do you expect him to pass any bill or law which is against secularism. Every non BJP party will be against it. Ever since Modi got elected in May 2014, doomsday prediction is going on. They were telling that India will have riots on a daily basis. So far 0 riots has occured. True there has been few deplorable incidents like Dadri, but the media ensured that it gets coverage. BJP were held accountable in the Bihar election. I have no doubt that if Pak had democracy like India, the self correcting system of democracy would have ensured that none of Zia's idiocy like Hudood law, Blasphemy law would have seen the light. Duramed: "Respectfully disagree. You need greater than 2/3 majority in Lok & Rajya Sabha and before that the judiciary has to okay the constitutionality of the change." There's a lot "democratic" governments can do without requiring legislation as Hitler and Mussolini showed. Even in America, the world's oldest democracy, the US President can exercise executive authority to transform society. Modi governments actions and the actions of state governments led by BJP such as changing curricula and making key appointments to educational and cultural institutions do not require legislation. Such actions that indoctrinate young people in a young demographics like India's have far reaching consequences for society. The turn around time to change textbooks is 4years. It is expensive and time consuming. PM office changes every five years. Your argument is not appropriate. Additionally, in India there are two boards of education, State and Central. Central board has more independence than the state boards. Schools follow one board or the other. It is impossible to change text books in a matter of months or even years! Duramed: "The turn around time to change textbooks is 4years. It is expensive and time consuming. " Your assertion is debunked by the impact BJP rule is already having on kids' minds in India. You cannot blame Bhavana Vaja, 12, for telling you that the first aeroplane was invented during the mythical Dvapara Yuga, when the Hindu God Ram flew from Sri Lanka to Ayodhya in India with his wife Sita and brother Laxman in a Pushpaka Vimana - a swan­-shaped chariot of flowers. In the 10 months since Modi’s election, Hindu right-wing groups such as the RSS have expanded their influence across much of India’s government, say analysts. The groups’ role has become especially crucial in the formulation of new Indian education policies slated for adoption later this year. The Council of Historical Research plays a major role in those reforms — it funds all serious historical scholarship in the country. But it’s just one of many influential groups infiltrated by Hindutva (Hindu nationalist) elements and being used to peddle their views. To that end, Batra recently persuaded authorities in the northern Indian state of Haryana to use the Hindu holy book, the Bhagavad Gita, as part of the school curriculum. AND YET NO ONE DARES TO REPEAL THE HUDOOD BLASPHEMY LAWS! 40 YEARS AND COUNTING! When Pakistanis do that only then can lecture others. Democracy is imperfect and a work in progress. There are deficiencies and imperfections but they are voices that contain these maladies. Pakistanis, who have very little experience of being raised in a democratic system do not understand that concept. Americans and the British among others do. JAN: "AND YET NO ONE DARES TO REPEAL THE HUDOOD BLASPHEMY LAWS! 40 YEARS AND COUNTING! " That's exactly the point I'm making: Once you set reactionary forces in motion, it;s hard to reverse them. Indians need to learn a lesson here. BTW, India, too, has many highly intolerant laws on the books that no one dares repeal. Take for example laws discriminating against gays and blasphemy laws. Shashi Taroor is forgetting which party ruled for 60 yrs from 1947-2014. If after that, muslims can't get an apartment, what does it tell about their secularism. Anon: "Shashi Taroor is forgetting which party ruled for 60 yrs from 1947-2014. If after that, muslims can't get an apartment, what does it tell about their secularism." It's an evil that pervades through the entire Hindu society; the rulers can and have made it worse with the free reign given to bigots under Modi. A World Values Survey has reported that Indian society is the most bigoted in the world. I happen to be in Mumbai and read this today. Thought you'd find it interesting. Amjad: "I happen to be in Mumbai and read this today. Thought you'd find it interesting. Regards. "Pakistan Army started acting forcefully against India's proxies, the TTP and the Baloch insurgents." But the indian proxy is still able to kill at regular intervals, be it school or univ. Anon: "But the indian proxy is still able to kill at regular intervals, be it school or univ." Yes, but the numbers show a dramatic decline in terror incidents and civilian death toll in the last two years. It indicates success of the Pak Army Ops against Indian proxies. The Baloch insurgency has been severely weakened to the point that it;s no more than nuisance now. Malala is made to tell a particular story about people in the global South, generally, and Pakistan, specifically. She is represented as the girl who defied the culture in Pakistan, and who now embodies a transnational, secular modernity exemplified by her emphasis on independence, choice, advocacy for freedom, and arguments for gender equality. Instead of being a symbol of the courage of Muslims and Pakistanis to stand up against local forms of violence, Malala is presented as an exception. This narrative of Malala sustains the façade of Islam as an oppressive religion and Muslims as embroiled in pre-modern sensibilities. Transnational girls’ education campaigns, such as the Nike Foundation’s “Girl Effect” and the White House’s “Let Girls Learn,” similarly paint a picture of black and brown populations as pre-modern, and still not educating girls. They call on the feminist sensibilities of benevolent citizens to save their Muslim sisters. Such formulations, however, not only re-articulate the binary of victim/heroine, but also abstract education from a complex web of issues such as state corruption, the hollowed-out welfare system, and lack of access to jobs, among others. In the case of Pakistan, for instance, research shows that girls are in school; in fact, there are more girls in higher education than boys! Girls’ education – or, lack thereof – thus, has become a way in which Western institutions have established their own superiority and, simultaneously, the inferiority of Islam and Muslims, deeming interventions necessary and even ethically imperative. In the context of these deep and emotional attachments to girls and education, girls who advocate for education (like Malala) and the school infrastructure itself have become prominent targets for extremists as a means to express their anti-West, anti-United States and anti-Pakistan sentiments. It enables them to strike at the heart of what liberal global North deems as its most prized project. Importantly, the extremists represent their attacks as a continuation of their fight against what they perceive to be colonial and foreign influence – mass schooling in Pakistan being a legacy of the British colonizers who displaced local, indigenous traditions and systems of learning. This is a serious critique that we must take into account if we hope to curb this war on education. It is time, therefore, that we scrutinize the loud debate over girls’ education and dislodge the monopoly of Western perspective on it, thereby making it a less potent site for extremists. A critical way in which we can further both these ends is by recognizing the long traditions of learning that are indigenous to Muslims and Pakistan, attending to the areas and systems of support identified by girls themselves, as well as supporting organizations such as the Aga Khan Development Network, which ground their efforts in their Muslim ethics and seek to improve the quality of life of populations in Pakistan (and beyond). Doing so will not only allow us to further our efforts for global education, but make space for alternative traditions and recognize humanity’s many histories. Higher education in most developing countries is still very elitist. The focus must be on girl's primary to high school education. That is where Pakistan will benefit the most. Read Aamir Latif report on status of girl's education. Official statistics released by the Federal Education Ministry of Pakistan give a desperate picture of education for all, especially for girls. The overall literacy rate is 46 per cent, while only 26 per cent of girls are literate. Independent sources and educational experts, however, are sceptical. They place the overall literacy rate at 26 per cent and the rate for girls and women at 12 per cent, contending that the higher figures include people who can handle little more than a signature. There are 163,000 primary schools in Pakistan, of which merely 40,000 cater to girls. Of these, 15,000 are in Punjab Province, 13,000 in Sind, 8,000 in North-West Frontier Province (NWFP) and 4,000 in Baluchistan. Similarly, out of a total 14,000 lower secondary schools and 10,000 higher secondary schools, 5,000 and 3,000 respectively are for girls, in the same decreasing proportions as above in the four provinces. There are around 250 girls colleges, and two medical colleges for women in the public sector of 125 districts. Some 7 million girls under 10 go to primary schools, 5.4 million between 10 and 14 attend lower secondary school, and 3 million go to higher secondary schools. About 1.5 million and 0.5 million girls respectively go to higher secondary schools/colleges and universities. Salma: "That is where Pakistan will benefit the most. Read Aamir Latif report on status of girl's education." We must acknowledge the progress Pakistan has made to increase access to primary and secondary education for girls. Afghanistan and India have good relations for hundred of years. Pakistan came in 1947 and now they think they can tell us what to do. Afghanistan has been independent for over 100 years so Pakistan should mind their own business and tell ISI not to send terrorists in our country. We don't need your assistance. Durrani: "Afghanistan has been independent for over 100 years so Pakistan should mind their own business and tell ISI not to send terrorists in our country. We don't need your assistance. " Afghanistan has never been truly independent. It was created by the British as a buffer state after the Russo-British Great Game. It's deeply divided along ethnic lines and, as a landlocked country, dependent entirely on Pakistan for everything it needs to survive. Afghanistan is an ungrateful neighbor with its Tajik-dominated intelligence service working with India's RAW to subvert Pakistan through its terrorist operatives. Afghanistan will continue to suffer unless it mends its ways to live in peace with Pakistan. **Afghanistan is an ungrateful neighbor with its Tajik-dominated intelligence service working with India's RAW to subvert Pakistan through its terrorist operatives. Afghanistan will continue to suffer unless it mends its ways to live in peace with Pakistan. The world knows the two-faced ISI Pakistani India based policies are causing nothing but instability for Afghanistan. Pakistan is paying the price and will continue to pay a huge price for this. It is Pakistan who will suffer more because it is Pakistan who is afraid of India. It is Pakistan who needs to change and stop giving birth to Taliban like terrorist groups. If Pakistan is not careful Afghans can do a lot of damage beware! Durrani: "The world knows the two-faced ISI Pakistani"
The world also knows of Afghans' failure to get their own house in order after the Soviets withdrew and the various Afghan factions and warlords unleashed a wave of death, destruction and instability that spilled over into Pakistan with massive flow of refugees in 1990s. Taliban brought a measure of stability to strife-torn country and most Afghans drew a sigh of relief after many years of extreme suffering. Had 911 not been carried out by Al Qaeda using its Afghan bases, the Taliban would face no opposition from the West and would still be in charge with most Afghans accepting them as legitimate rulers as a lesser evil. Pakistan will never have respect in Afghanistan or the world. Durrani: "Admiral Mike Mullen, Chairman of the Joint Chiefs of Staff"
Durrani: "Pakistan will never have respect in Afghanistan or the world"
So now you not only pretend to speak for Afghanistan but also the rest of the world? How conceited can one be!!! Riaz "In response, let me quote Mullen's superior ex Def Sec Rober Gates"
That is irrelevant and off topic. Pakistan's ISI misadventure and poor policy making already has come to bite Pakistan. Pakistan should be very careful otherwise it will suffer consequences. Afghans can humiliate and fragment Pakistan. We can do that without an army! Durrani: "That is irrelevant and off topic. " It's absolutely relevant as evidence of lies US official tell about other countries and other countries lies they hear. Durrani: "Afghans can humiliate and fragment Pakistan. We can do that without an army!" Keep dreaming. It's not 1971 when India, a vastly more powerful nation than Afghanistan, started a covert war in East Pakistan followed by an invasion. Pakistan is nuclear-armed and history tells us that no nuclear armed nation has ever been invaded by a foreign military. In fact, Afghanistan breakup is much more likely than Pakistan's. Isn't Pakistan constantly saying Pakistani Taliban is a "foreign" group attacking Pakistan. It doesn't matter if Pakistan is nuclear armed and these type of violence will escalate sectarian violence. That is destabilizing for Pakistan and can do a lot of damage. The current NAP is successful but things have also gone more covert. NBRX: "It doesn't matter if Pakistan is nuclear armed and these type of violence will escalate sectarian violence." The data shows otherwise. Violence is declining and becoming more manageable. It'll never be zero but be quite manageable as a nuisance. A protest that rocked a New Delhi university this week spread across India on Thursday, with students and teachers in at least 10 cities demanding the release of a student leader arrested on sedition charges and accused of being anti-Indian. The protesters were outraged by nationally televised scenes of Kanhaiya Kumar, the student union president at Jawaharlal Nehru University, being kicked and punched while he was escorted to a court hearing Wednesday, renewing allegations that the Hindu nationalist governing party is intolerant. He was arrested last Friday over his participation in events where anti-India slogans were allegedly shouted. A New Delhi court has ordered him to stay in custody for two weeks. The court will hear his bail plea on Friday. The demands for the student's freedom in the Indian capital were met by mobs of Hindu nationalists, including many lawyers, attacking students and accusing them of being anti-Indian. Prime Minister Narendra Modi's Bharatiya Janata Party and other Hindu groups accuse left-wing student groups of anti-nationalism because of their criticism of the 2013 execution of a Kashmiri separatist convicted of an attack on Parliament. Kumar's treatment and attacks on teachers who supported him have triggered allegations that the Modi government and the BJP are cracking down on political dissent in the name of patriotism. Soon after the protests began, India's Home Minister Rajnath Singh tweeted that anyone shouting anti-India slogans "will not be tolerated or spared." The violence by lawyers occurred despite the Supreme Court ordering the police to ensure security in the court and has drawn wide criticism of the lawyers and police. "Such a deliberate obstruction of justice amounts to constitutional contempt and cannot go unpunished," said Maja Daruwala of the Commonwealth Human Rights Initiative. The Bar Council of India said it had appointed a three-member panel to investigate the violence by lawyers. "We are going to take a strong action against them," Council president Manan Kumar Mishra said. "We are going to punish the lawyers if they are found guilty," he said before apologizing on behalf of the lawyer community. On Thursday, students in at least 10 Indian cities marched through the streets and denounced Kumar's arrest. In New Delhi, thousands of students, professors and journalists gathered in the center of the city. They carried flowers as a sign of peace, Indian flags and placards saying, "Free Speech under attack" and "Just because I don't agree, doesn't mean I am an anti-national." Police said the rally was not authorized, but allowed the march to proceed to a central space used frequently for public protests. In the southern city of Chennai, 40 students were arrested after they clashed with police. In Kolkata, police were on alert as two groups of students held rival rallies in the Jadavpur University campus. Student groups affiliated with the BJP demanded strict action against Kumar and others who they accused of being anti-Indian. If the United States and its allies help address the core structural development problems within Pakistan many of our security concerns will also be resolved. As I have written before, the United States needs to broaden the way we look at Pakistan. For decades, security issues have dominated Washington’s Pakistan agenda while “soft” issues have been an afterthought. From Islamabad’s perspective, the “soft” issues include some of their most important challenges. These soft issues might be characterized as Pakistan’s “6Es”: (non-security) engagement, economics, entrepreneurship, education, energy, and (gender) equality. Most of the international community engage Pakistan through an “AfPak” lens or an “IndoPak” lens, but Pakistan cannot be defined completely by its relationships with its neighbors. Afghanistan has a population of 25 million while Pakistan’s population will soon exceed 200 million. India continues to grapple with its own development challenges and opportunities, many of which have little or nothing to do with Pakistan. Pakistan is the sixth largest country by population in the world and is projected to become the fourth largest country by 2050. To understand Pakistan requires analysis through its own sui generis set of issues and opportunities. Despite a very poor country brand with the international media, Pakistan has undergone a series of positive developments that merit recognition. These developments set the table for the sort of policies and investments needed to move the country on a path traveled by Indonesia or Brazil. The country had its first peaceful democratic transition in 2013, and for now, the military, the civilian government, and civil society are broadly aligned on security issues. This optimism must be tempered by recognizing that the military remains Pakistan’s central institution, and that pockets of conflict and extremism persist throughout the country. While the military has seeming gotten out of the coup business, it is still the “back seat driver” for many parts of the government and economy. Pakistan’s economy has been growing for a number of years, and it is on track to complete an International Monetary Fund (IMF ) program from start to finish for the first time in its 70-year history. Pakistan’s growing middle class, which will expand from an estimated 40 million people today to 100 million people by 2050, represents a powerful engine for change, demanding both improved services and greater access to opportunities. One key area of expanding demand and potential growth lies in the energy sector. Pakistan’s abundant coal reserves and access to water flowing from the Himalayas mean it could be the “Saudi Arabia of Coal” and the “Saudi Arabia of Hydropower.” Pakistan also has significant wind, solar and geothermal potential. However, if current trends continue, by 2050, India’s economy will be 40 times larger than Pakistan’s, and China’s economy 100 times larger. It is in both U.S. and Pakistani interests to see that Pakistan grows a lot faster.